First in the PRO Muse Menu series, create beautiful responsive fullscreen menus instantly! 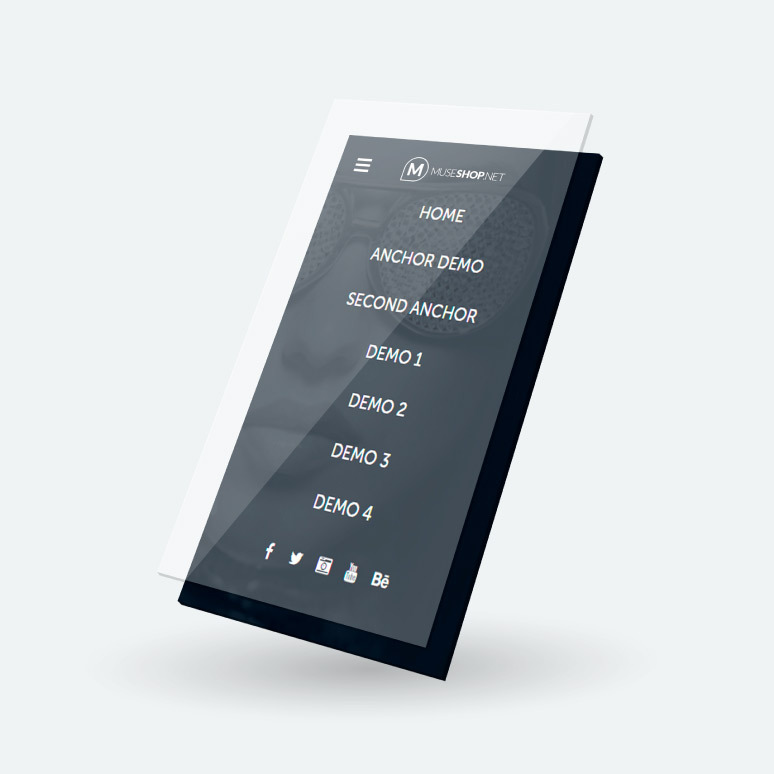 Create and edit beautiful fullscreen responsive menus with incredible ease. Have it done within minutes. Fullscreen Lightbox Menu Muse widget comes with all menu components ready for action! Transition effects designed by Muse professionals, subtle yet brilliant. Smooth & Professional, your menus will look a couple of notches better than regular Muse menus. With custom entrance and exit animation effects carefully designed by MuseShop.net professionals, the Fullscreen Lightbox Menu widget will be an awesome addition to every professional muse website. You control the design with freedom to design a perfect lightbox menu for your Muse project. Use our components as a base, all the effects are automated so you can focus on design! Aimed to achieve the easiest use possible with customization options available to personalize the appearance, the Fullscreen Lightbox Menu will let you quickly create a beautiful modern menu and to adapt it to your Muse project. The widget comes with options such as regular lightbox, transparent lightbox, image background menu, our pre-designed animated hamburger menu icon or your custom icon. Whatever you choose, the setup will take only a couple of minutes. Pro Muse Menus series, the Fullscreen Lightbox Menu Muse widget lets you instantly create a responsive modern fullscreen menu in Muse.